Running a business on a tight budget should not hinder anyone from running a marketing campaign. 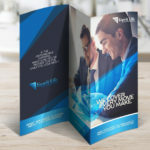 Brochures are actually reasonably priced considering how much information you could pack into one. 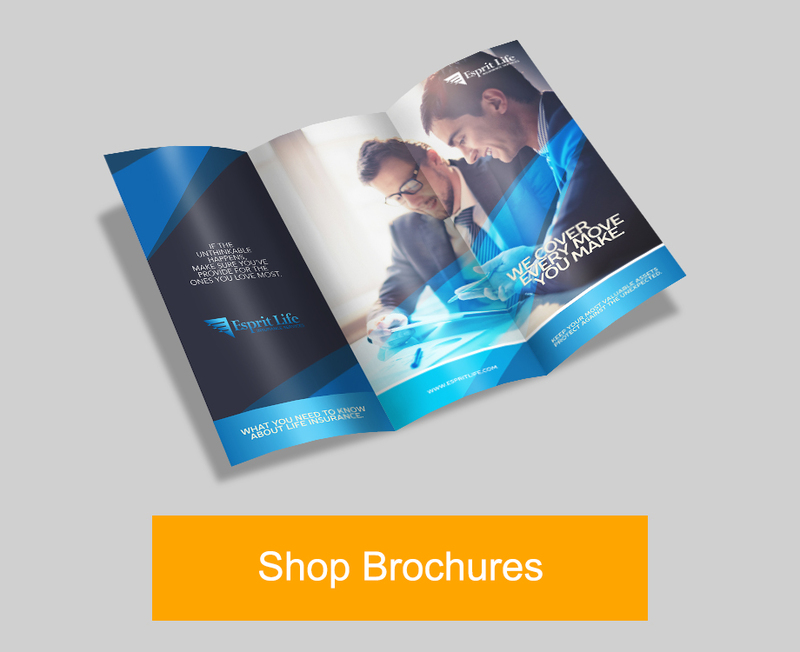 Combined with the right brochure design, I’m confident that you’ll be able to elevate your sales to new heights. 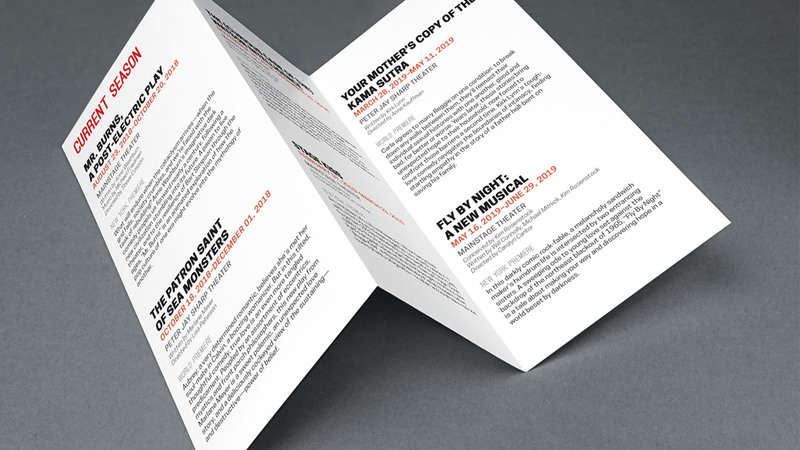 Here are some brochure design examples to help you get started. 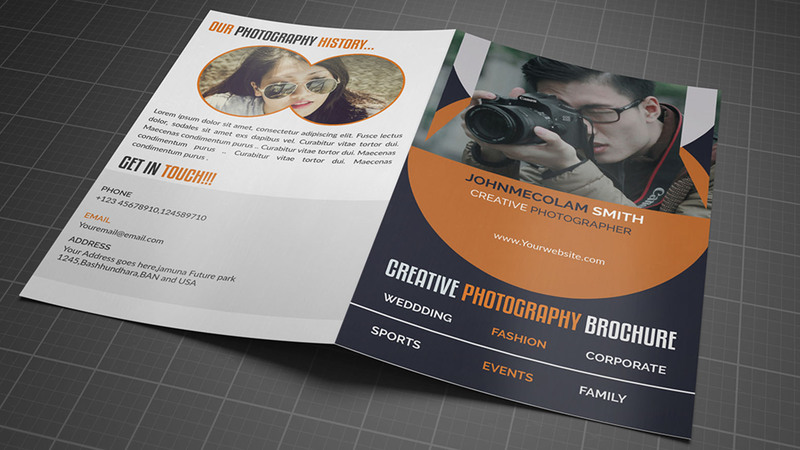 Use brochures to create a portfolio is pure brilliance. They’re compact enough to have them on the go. Personally, I’d rather hand out brochures rather than business cards. 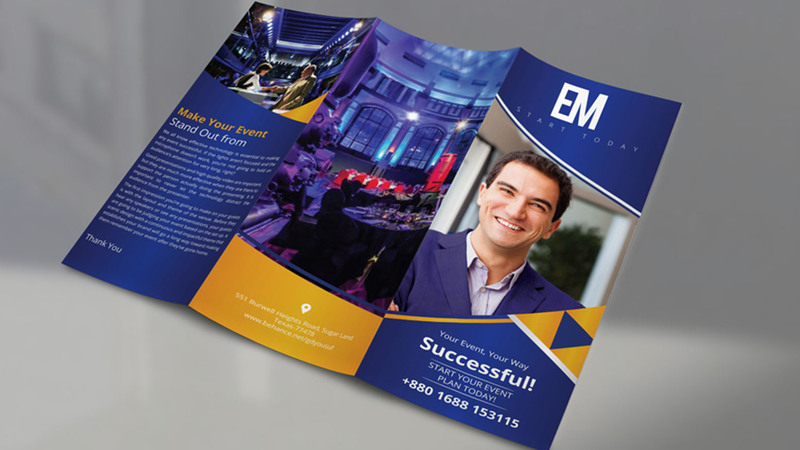 When people see your work on the spot, you immediately make a connection which can only benefit your business. In addition, photos are best shown in printed form anyway. Readers can immerse themselves as they browse through your photos. 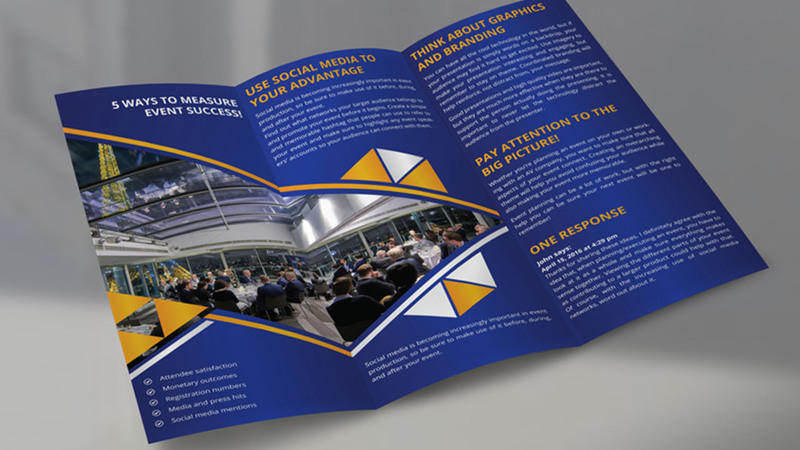 No event is complete without brochures. I don’t recall ever attending an event and not receiving at least one — and for good reason. Brochures are highly effective in these situations. A design like the one we’re featuring below is pretty common. 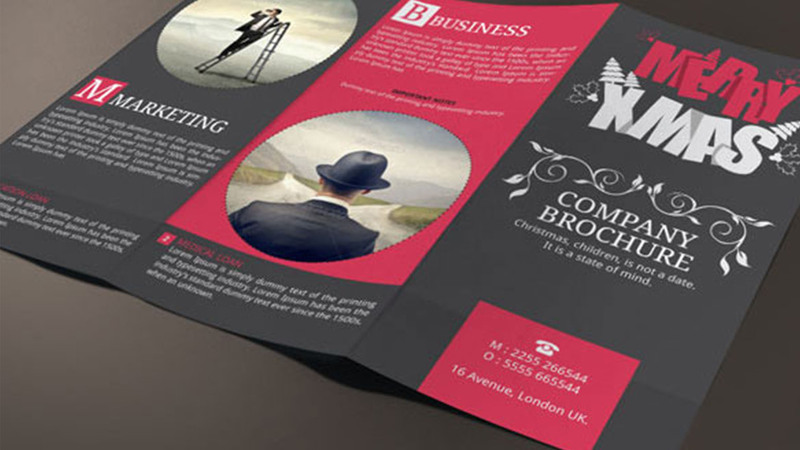 It’s a great starting point for anyone new to designing brochures. You can simply scale your design up as the need arises. The idea of using brochures to promote food products isn’t new. 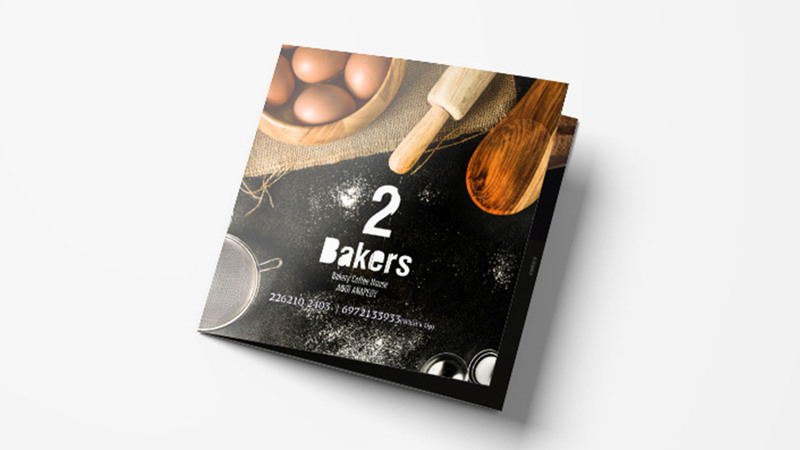 Bakery brochures, for example, need to be promoted to stand out. If your customer is unable to taste the product, you will have to win them over through a stellar presentation. 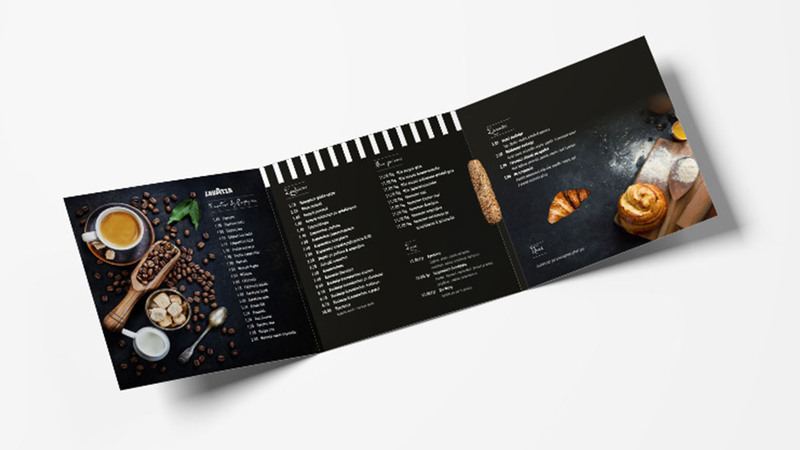 Some take it even a step further by designing brochures that also include recipes. Suggesting ideas on how to incorporate your product into daily cooking or showing customers how to make something that complements your products will do wonders for the business. Holidays are the perfect time to get people to march through your doors. These are especially true during Thanksgiving or Christmas time. 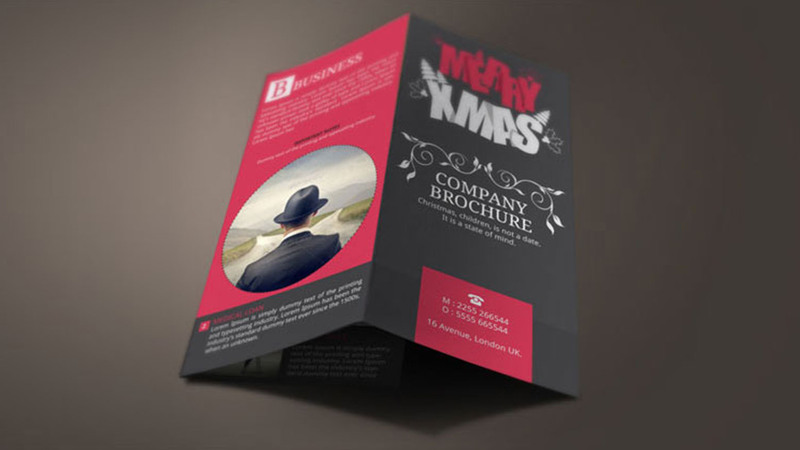 I recommend using brochures to make gift buying guides. Use this time to not only promote your products but also introduce your company and tell people just how you can help them. 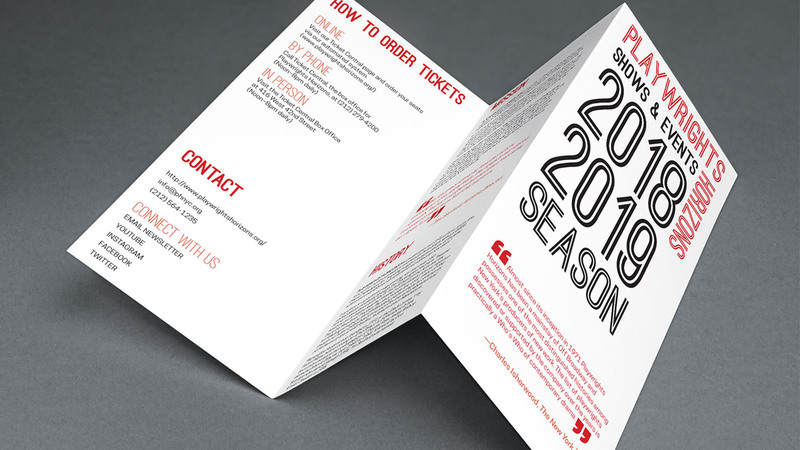 You don’t need to be a graphic designer to pull off a fabulous brochure design. Sometimes all it takes is finding the right font. Simplicity is best, so when in doubt, keep things simple. Getting your point across is way more important than having a jaw-dropping design. 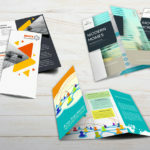 Ready to make your own brochure designs? 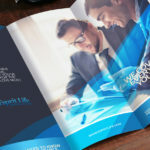 Check out our brochure printing services at PrintRunner. 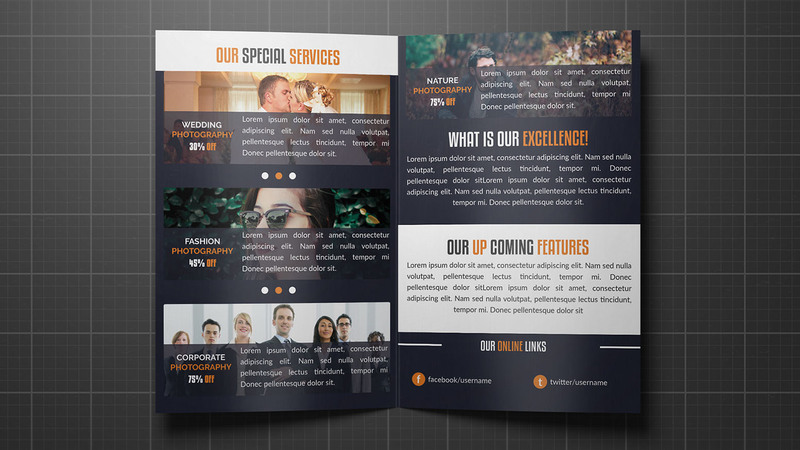 With our online design tool, you too can create great designs like the ones you just saw. It’s easy and free to use. 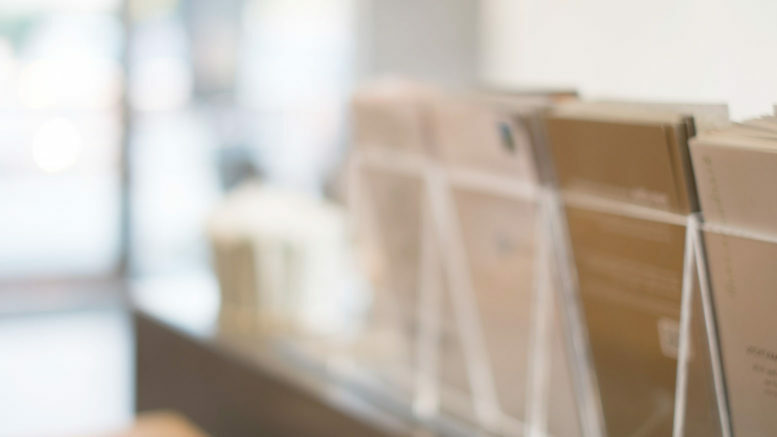 Our customer service representatives will be more than happy to help through phone or chat. Inquire today.